With lovely curb appeal in a great location, this charming home has been much loved. With a nice floor plan, this home features an updated large bright kitchen with oak cabinets with deep pot drawers, updated 4-pce bath and 2 spacious bedrooms on the upper level. 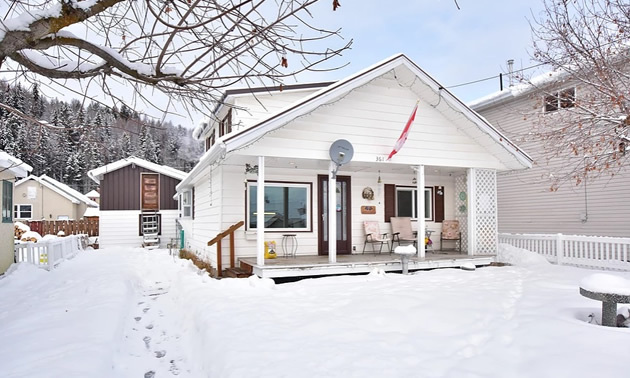 With detached heated garage and carport, front covered deck on the front, updated vinyl windows, additional attic insulation and interior/exterior doors. Lovey private fence back yard and alley access. Quick possession.